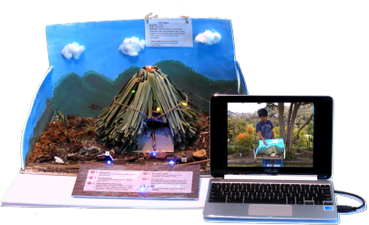 Many student projects in elementary, junior high and high school grades can be greatly enhanced by adding narrative videos and other web-based media. 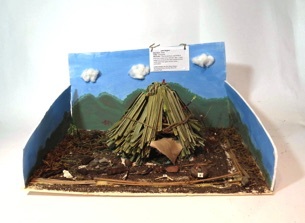 For example in the volcano project shown below, the student can explain their project, and even activate LED lights when the student is talking about each part of the project in the video. Interactive Maker Projects bring physical projects that are unchanged from they way that they were done in the 1950s into today's world of digital interactivity. This approach can enhance learning while providing a great introduction to the maker movement and even a less abstract gateway to coding. Interactive Maker Projects support STEM and STEAM, and can be correlated with Common Core Standards, ISTE NETS, NGSS and many other curriculum standards. Interactive maker projects are the simplest and best way to start establishing your makerspace by linking traditional physical school projects to existing and student-created digital content. Teachers, parents, and even experienced makers will be delighted by just how easy the HyperDuino makes it to be successful in creating fun projects that are gratifying and motivating for further explorations and learning, and best of all, actually related to the school curriculum! "The HyperDuino does for the maker movement what HyperStudio did for hypermedia: it makes it possible for everyone, regardless of age and experience, to create physical-digital interactive maker projects." Using the HyperDuino Media Linker, students create a "media list" that links Internet-based media such as videos and student-created content, to their project. The HyperDuino Media Linker eliminates the need for coded scripting to make something happen in the model, or to react to touch sensors. Students can learn the logic of programming by setting up the conditional actions of touch response, video playback, and even lights that turn on during specified parts of a video or other digital media displayed in the browser. 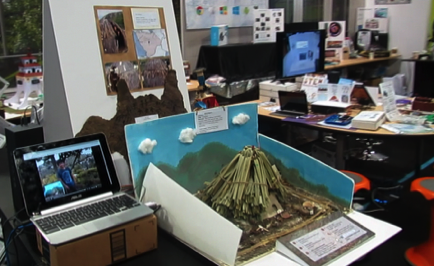 Above all, it's not actually about the HyperDuino, but rather what it makes possible: the interconnection of student-created media content with student-made physical models. 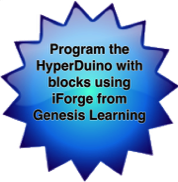 The HyperDuino Media Linker app for the Chrome browser lets students connect videos and other media on their Chromebooks (as well as Mac and Windows devices) to physical projects that they've made as part of their regular curriculum. The HyperDuino hardware bridge makes it easy to connect LEDs and touch sensors, and also provides a springboard for further STEM activities. The HyperDuino Media Linker eliminates the requirement to learn coding before you can even turn on a single LED. Now, using the Chrome browser and the HyperDuino Media Linker, touching a sensor on your model can play a video that explains the parts of the model. You can also link any time frame within a YouTube video with lights (LEDs) on your model. With a familiarity with the logic of programming, students can then go further with programming and coding, (using 3rd party tools like iForge, Scratch for Arduino, mBlock, and others), learning more about electronics and robotics, all in a STEM/STEAM context! 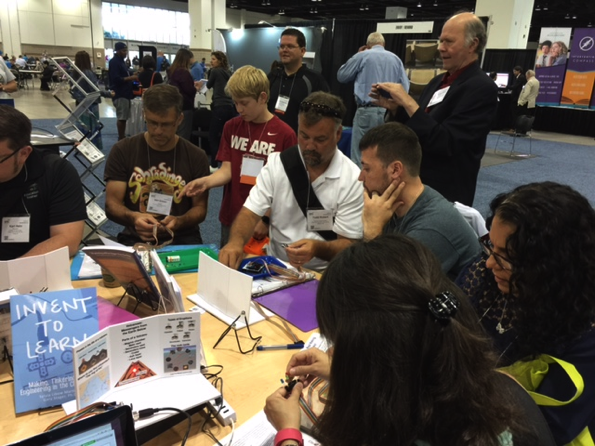 Make the curriculum-based models that students are already creating the foundation of your makerspace activity!